One day a scenario something like this will reveal itself to every person on the planet. Ten out to ten people die, yet this very real statistic is often swept under the rug of denial. We would rather not think about it, much less plan for it. Understanding and embracing death can be a powerful enhancer to life, an enhancement that many times goes unused. It is not my intention to debate the theological underpinnings of death, I simply wish to highlight the practical scenarios that are usually found amongst the living once someone dies. Maybe this will help us take life a bit more seriously, instead of our all too common juvenile attempts at living the one life we have. There are a lot of speculations as to what really happens when we leave our bodies. Books have been written, movies made, and documentaries in mass, have been produced on the topic. But here I will only deal with the most likely events that will occur once you die. Bear in mind that most of these are written to someone of the Christian faith, yet they can be applied to anyone. Some of them are a bit depressing but understanding these things can cause us to grasp the opportunities that we have instead of wasting them on things that won’t matter. Meditating on death often times gives us a greater ability to see life the way it should be seen, as a gift. People will eventually forget about you. Our whole world, even if it’s painful, seems very secure and solid. It is uncommon to think that tomorrow will never arrive, yet 1. 8 people die every second. We would never dream of our friends and relatives being able to live life without us. Yet the sad fact is that they can, and will. Yes, they will cry and mourn for a season, but things will eventually get back to the way they were. The world, Wall Street, Starbucks, and Hollywood, will carry on without you. Even the most famous people are hardly remembered with consistency. We may study Einstein, but he is rarely a daily thought, and we won’t be either. The longer we are dead, the less we will be remembered. We are frail and temporary creatures that usually live as if we are invincible. As for those we leave behind, you and I will be nothing more than a piece of granite in a manicured cemetery. We must learn to live life with posterity in mind. Replicate yourself and know that even though you are not here when you die, your principles and ideals are, through one of your disciples. No wonder Jesus said make disciples, not converts. Investment into another life ensures your greatest presence upon the earth, even when you are gone. Your enemies will rejoice that you are gone. Now most of us don’t have too many people who will fall into this category, but there will be people who cared so little about you that they really aren’t moved by the fact that you are not here anymore. Remember those people who served your coffee? Yeah well, they are just sad that you are can’t buy coffee anymore. We have this thing in society that is called respect, and it seems that you get the most of it when you are dead, so out of respect these people may never voice their apathy toward your passing, but it will certainly be a reality. It is necessary that we live a life that makes sense, even after we are gone, and it is possible to live in such a way that even though your enemies may have hated you, they will respect the stands that you took. Write a book, start a blog, teach a class, engage in prayer and social activity that makes a difference. Leave a testimony that even your enemies can’t take away from you. Someone will take what you worked your whole life to achieve. In a few years, it is likely that someone you do not know will live in your house, own your land, marry your spouse, and/or work your specific business. This is a terrible thought and yet it is all too real. To many times we spend our entire lives on something that will only be someone else’s. It is amazing to me how many times I have watched people sacrifice their wives and children on the altar of materialism not really realizing that it will never be theirs. Know that what you do with your hands will never be more important than who you are and who you love. What you leave behind is only important if it is dressed in skin. People won’t care about your beloved opinions, they will remember how you loved. Selflessness goes beyond the grave. It is the power that remains with those you left behind, it is a silent instructor to your loved ones. Too often we can get carried away by trying to prove our points because of some unbridled emotion. Our wounds define us, our pain consumes us, and we are impatient and mean. It would be much better instead for us to show others how to rise above tragedy and seek to remove blame from our life. Without realizing it we teach those around us to be bitter, cynical, judging, and critical of others. Remember, your opinions only matter to you, people matter to God. I have never met anyone who was brought into the kingdom because they lost an argument. Take time to listen instead of lecture. If you make it to heaven, there will be regrets, and there will be tears for a season. Yes, God will wipe them away, but the pain of knowing that you lived your whole life for something that is no longer available will be almost unbearable. You will wish that you would have believed more, loved more, and matured more into the image of Jesus. You will finally grasp the value of sacrifice. The cross will finally make sense. There will be a great understanding of how selfish you were and how selfless God was to you. There will be regrets by those whom you left behind, even if you work hard to not have any, there will always be a few. Know that your life begins when it ends. Make sense of your eternal home by living correctly here. Living for others is a great eternal reward, but living entirely for Jesus will make sense of this crazy mess both here and there. Minimize regrets, not through human effort, but by staying at the feet of Jesus until He makes you so much like Himself that your regrets are minimized and your eternity is maximized. So there you have it. Five things that will happen when you die. You can’t stop them, you can only understand how to reduce them. No amount of money or power will protect you from the possibility of these things touching your life once you are gone. 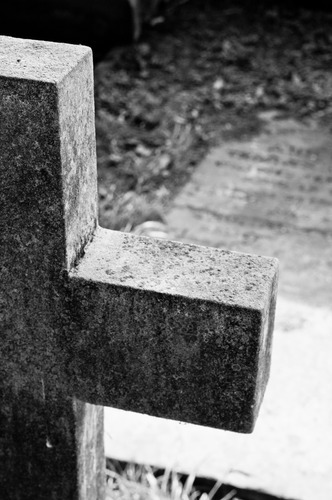 Death puts the underscore upon the futility of life without Jesus. I believe to have a true vision of the kingdom that is coming we must first have a pure understanding of how short this life is. So today, embrace what you have! Learn eternal principles through earthly trials and pain. Practice your faith in the midst of betrayal, hurt, and the stressful moments life has to offer. But know that one day you will look back, and you will have left a footprint in the sands of time. How deep that print is and how quickly it washes away is up to you.